Clean the sealing material from the gasket mating surfaces (2). Clean the engine block (1) and lower crankcase in a cleaning tank with solvent appropriate for aluminum. Refer to Adhesives, Fluids, Lubricants, and Sealers for the recommended solvent. Flush the engine block with clean water or steam. Spray the cylinder bores and the machined surfaces with engine oil. Inspect the threaded holes. Clean the threaded holes with a rifle brush. If necessary, drill out the holes and install thread inserts. Refer to Thread Inserts. Do not attempt to machine the lower crankcase to engine block surfaces. 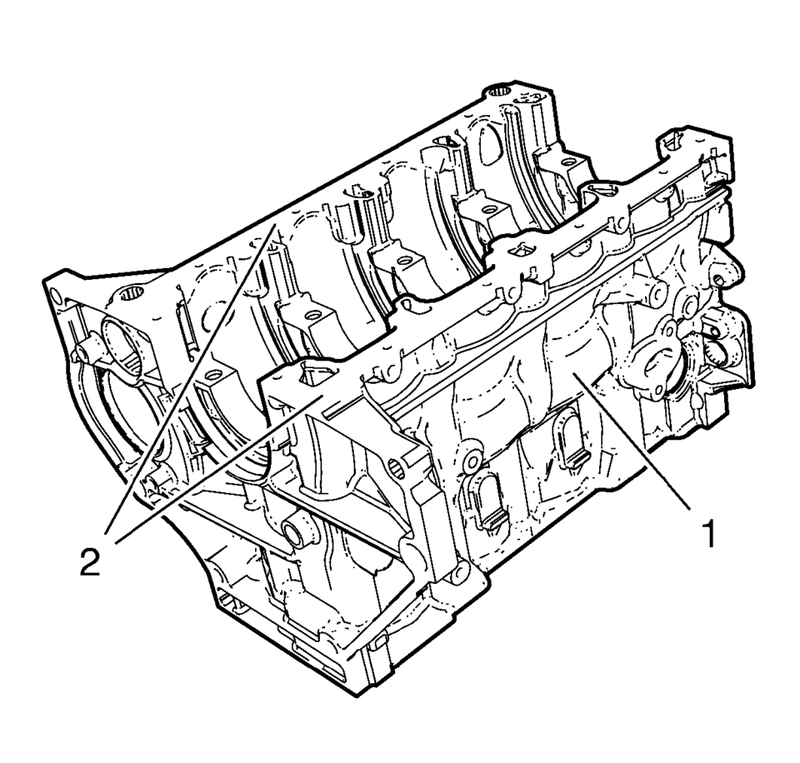 Inspect the engine block for sag in length and width on the sealing surfaces. 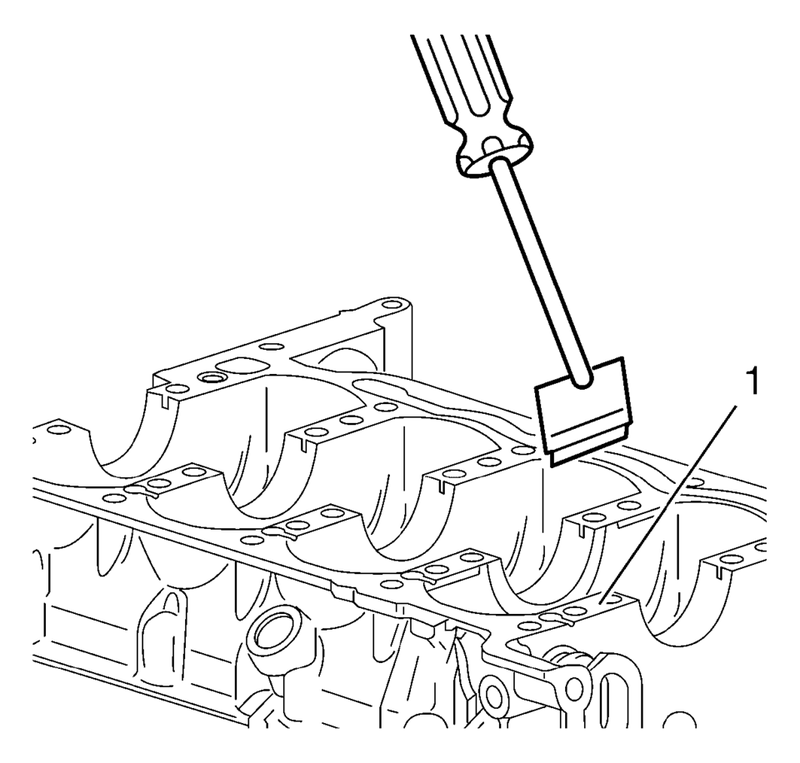 Inspect the engine block for distortion along the diagonals. If the deck surface is out of specification, replace the block. Do not machine the block. 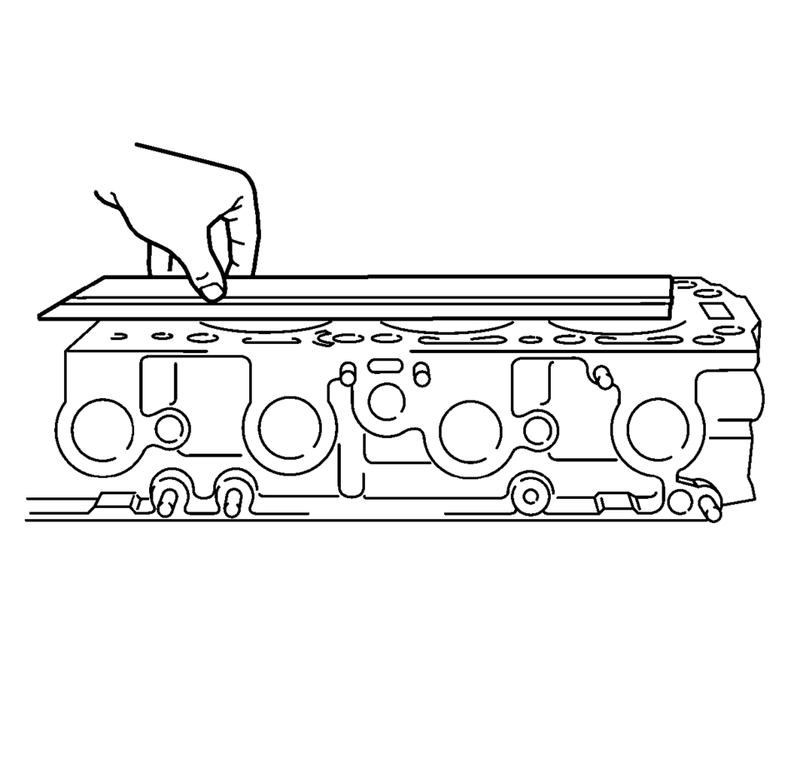 Clean the sealing material from the gasket mating surfaces (1) on the lower crankcase oil pan side. 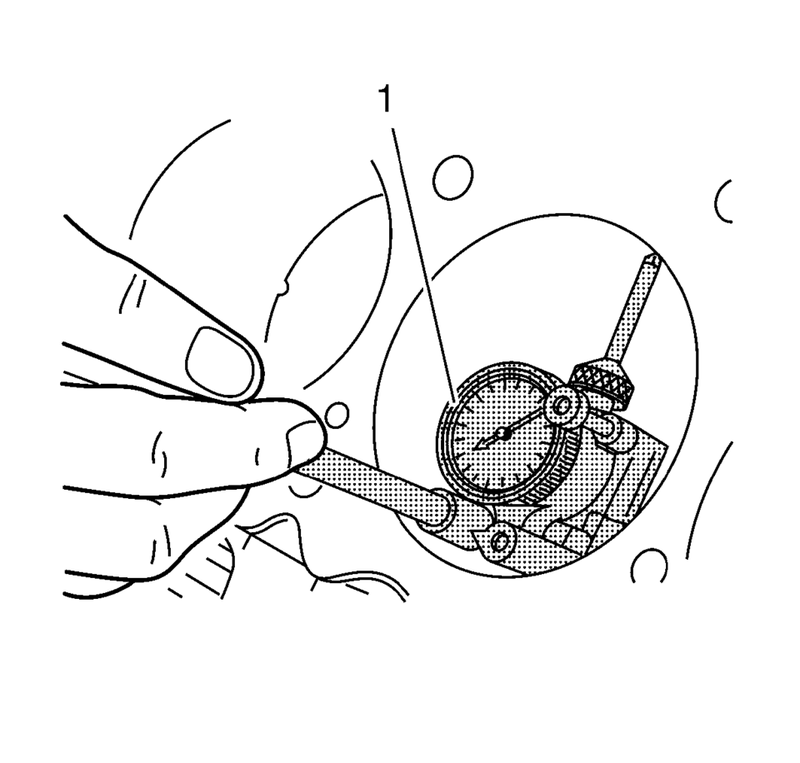 Inspect the crankshaft main bearing bores. Use the EN-8087 gauge (1) to measure the bearing bore concentricity and alignment. Replace the engine block and bed plate if the crankshaft bearing bores are out of specification. Check the cylinder bores specifications. Refer to Engine Mechanical Specifications. 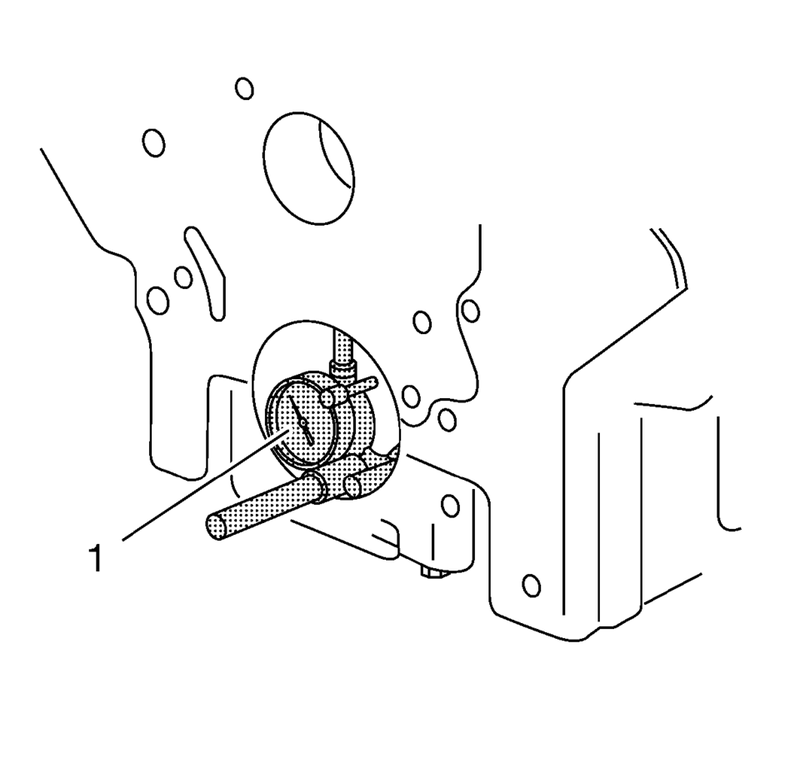 If the cylinder bores are out of specification, replace the engine block.